Republicans and Democrats should say "Hell no" to this woman. Former Alaska Governor Sarah Palin blasted President Barack Obama for nominating as his new Health and Human Services Secretary the same woman who ordered the shutdown of the war memorials during the so-called government shutdown last year. 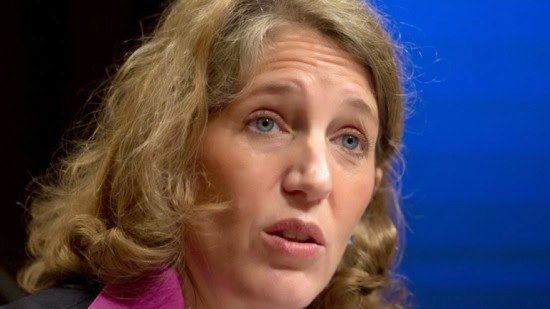 After accepting Kathleen Sebelius’ resignation Friday, Obama nominated Sylvia Burwell, the former Office of Management and Budget director. This is the same person who sent the email initiating the barricading of the memorials, even as veterans were arriving in D.C. on their “honor flights” to see the memorials that they built. Palin, along with Sens. Ted Cruz (R-TX) and Mike Lee (R-UT), joined veterans as they protested the barricades.